Gujarat Gaun Seva Pasandgi Mandal (GSSSB) has published an Advertisement for below mentioned Posts 2017. Other details like age limit, educational qualification, selection process, application fee and how to apply are given below. Educational Qualification : Candidates should have Diploma in Ayurveda Nursing (Nurse). 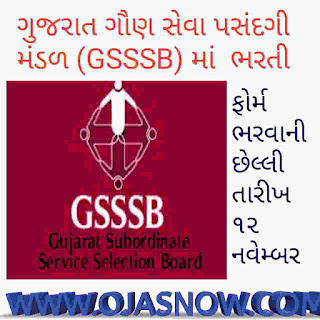 GSSSB Selection Process : Selection will be based on Written Exam. 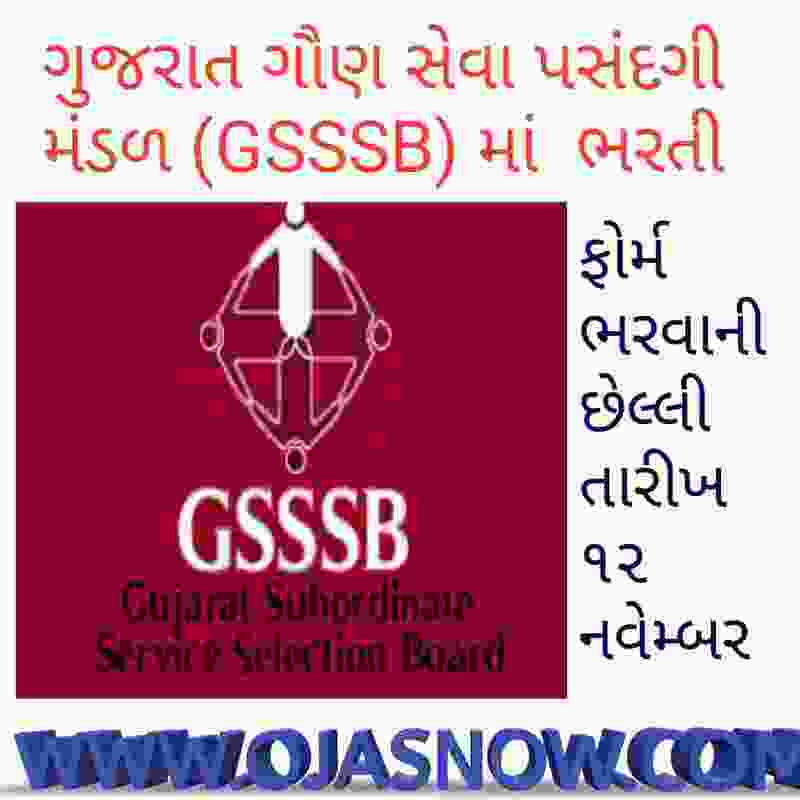 How to Apply GSSSB Vacancy : Interested candidates may apply online through website ojas.gujarat.gov.in or gsssb.gujarat.gov.in from 27.10.2017 to 12.11.2017 till 23.59, thereafter website link will be disabled.